Many years ago, journalist Barbara Walters was widely mocked for asking the actress Katherine Hepburn what kind of tree she would be. She asked that question in response to Hepburn stating that she would like to be a tree. Hepburn chose oak, because they are strong and pretty. I've been working on a book lately, and the process of writing leads my mind in a lot of unusual directions. Last night that meant considering what kind of plant I would be. Lots of my friends talk about what sort of animal they would be, often based on the Animal Tarot, or totem animals, yet even though so many of us work with plants day in and day out, I can't recall talking the plants we feel we are most like. 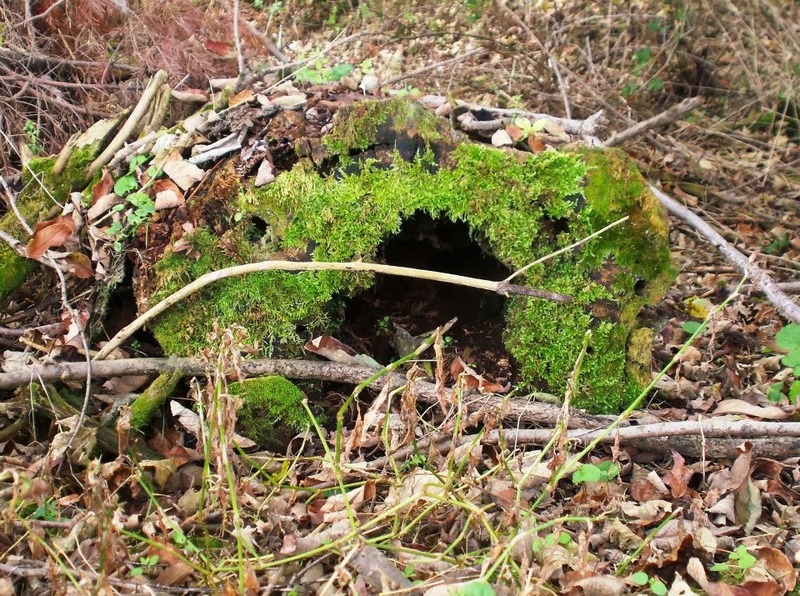 My own first thought last night was of thick, dense moss growing by a creek. Soft and lush, close to the earth, that seems familiar. A couple of years ago I took a workshop at The Rosemary House with Pam Montgomery that involved sitting with plants and really observing them. While I was looking forward to it, at no point did I actually think that I'd "get it." We all want to connect with the plants, but seem to think that they only talk to others. Being compelled to sit there with a hops vine, it wasn't long before I was observing how strong it was, and how the tendrils reached ever higher, letting nothing stop its progress. I remember looking at the flowers and noting how hard it worked to procreate. 15 minutes in, I realized that I was relating to the growth of the vine, the struggles, and her appearance that while not particularly showy, was stunning when looked at on more than a superficial level. 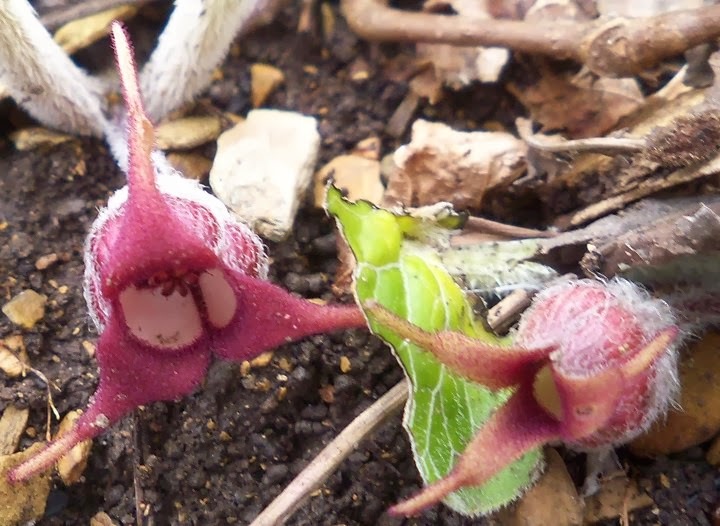 Wild Ginger, with such hidden, unassuming blossoms, spicy roots, and glossy leaves. 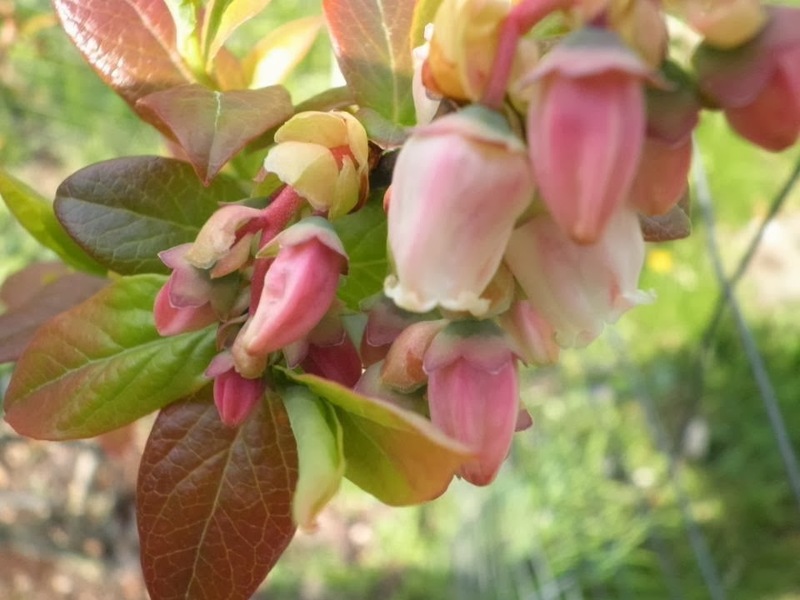 Blueberry - dainty blooms, vibrant fruits. Grow in bunches. Vivid tough leaves. The ultimate trumpet - but remains hidden, building strength underground for 10 months each year. 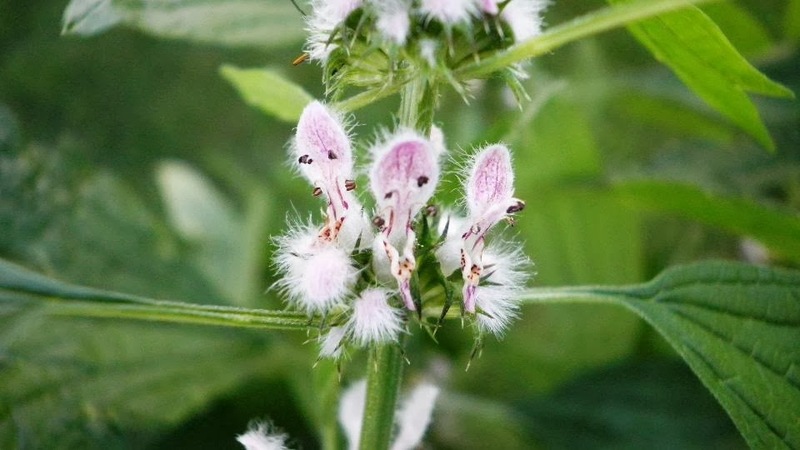 Motherwort - prickly, layers, flowers nearly invisible, up, up, up. 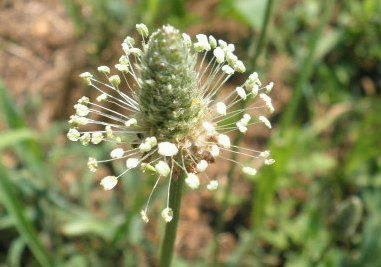 Plantain - lush rosette, ribbed leaves, close to the ground with inconspicuous bloom stalk. Whip like. 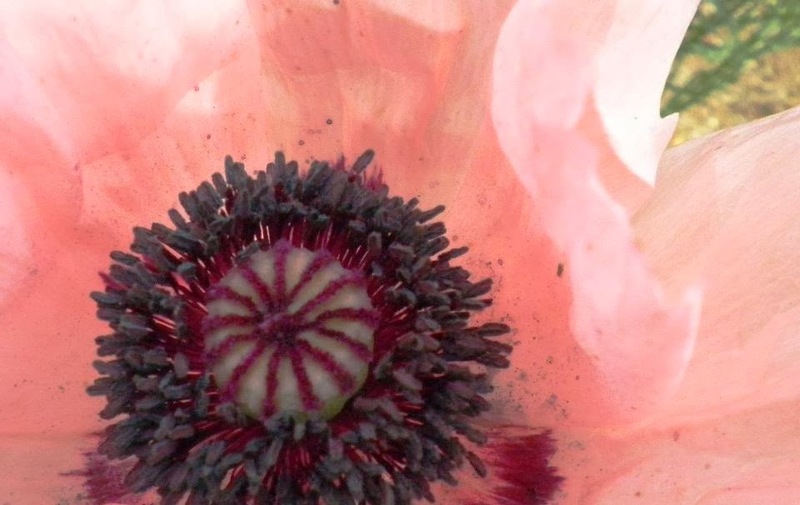 Poppy - stunning, papery, soft, swelling ovary, waving in the wind above cut leaves. So you see, there's a start. A very rudimentary beginning to thinking about the personalities of plants. So often we name them after people, and vice versa. Rose, Sage, and Jasmine, for instance. I know some people who are Stinging Nettles. They are lush and nourishing, but take an awful lot of work to stay on their good side. I know mighty white pine people, with soft needles, pliable arms, and a notable weakness when piled too high with heavy snow. I know beautiful echinaceas that offer creatures shelter in storms and seeds for birds in winter, and appear strong in the spring, ready to do it again. Many times when I get to know a plant these days, I can align it with a human acquaintance. So what plant would you be? Have you thought about it at all? I think we're all several plants, depending on our moods and circumstances, but it's fun to consider. We're going to just go ahead and think of spring, even if we're sitting in a house that is looking more and more like an igloo with each passing day. This issue is absolutely stunning. 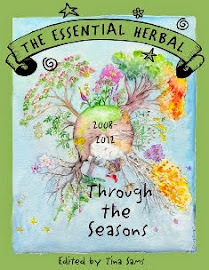 Full of information and herbal love. I know that sounds a little cheesy, but can't really think of a better way to put it. 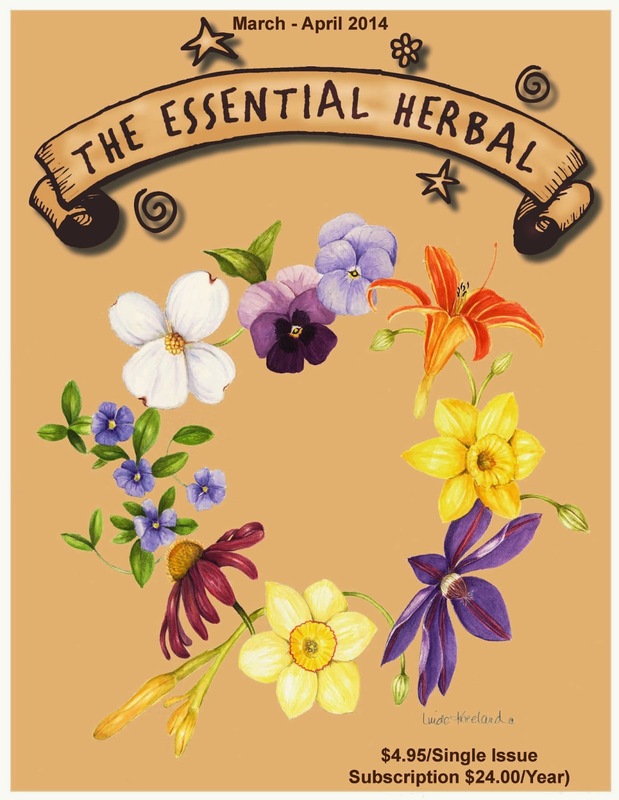 Our writers are simply in love with herbs, and they aim to take you down that primrose path too. Take a look at the table of contents (below) and I think you'll see what I mean. Exciting times at TEH, and for the herbal community, turning lemons into lemonade. 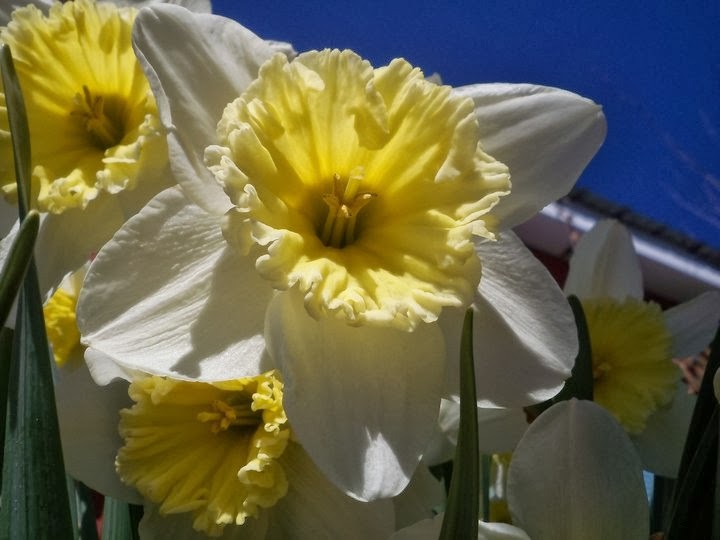 Linda Kneeland (lindakneeland.com) provided this luscious taste of spring. 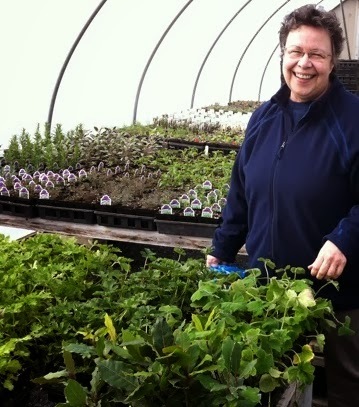 Janice begins a touching series about how herbs fit into the lives of our elders. Ready to start your own flock? Combine your love of herbs with these fine feathered friends. Many uses for this age-old traditional remedy that you might not have considered. Ready? Set? Time to get some dirt under our fingernails! Planting in harmony with Nature's rhythms. We're not quite done with the coughs, colds, and sore throats, but here are some good helps. Let the plants speak for you. Some fabulous ideas for herbal ground covers that are as useful as they are lovely. Granny medicine or modern medicine? Stephany makes the case to keep them in the 22nd century. An ode to a favorite herb with hand-drawn illustration. You'll love this pizza shaped garden that contains all the toppings you can grow. Marci leads us through the creative process of another spectacular soapmaking adventure. Do you think "corn" when you hear Iowa? 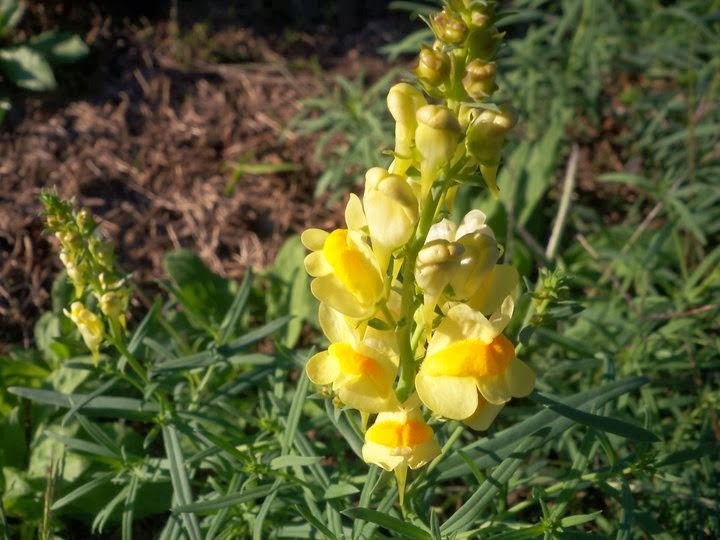 Learn of unique and entrancing herbal diversity that we haven't heard so much about. Make some gardening tools from household items. Dainty and unassuming, yarrow packs a wallop and belongs in your herb cabinet. Some ideas on getting started. 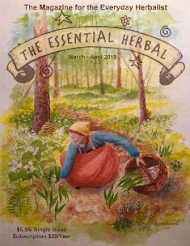 Who or what is the herbal community? In the last couple of weeks, I've heard tales of several "takes" where what can only be considered vultures, swoop in and seeing the glimmer of gold, take it from someone else. Just tonight I read about the brutal Candy Swipe trademark take away. This morning it was an article about a quilt pattern being trademarked. There are also tales about trademarks on terms like "soap loaf", "lotion bar" and "tub tea". 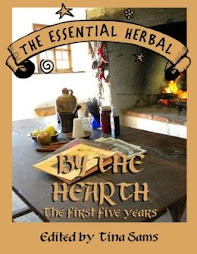 Of course the one that is really on my mind right now is the very old remedy made with vinegar and honey blended with lots of hot roots, etc that herbalists have been making for decades, and Rosemary Gladstar wrote about (and named) in her books and class texts. 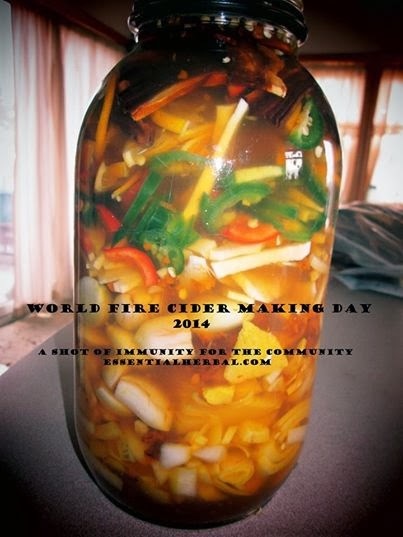 Chances are, if you know an herbalist, they make this firey cider brew. The hardest part for me to watch is that herbalists, who have every right to be outraged by this action, are being portrayed as backwoods hippies and hicks who are supposedly jealous because they didn't make this selfish move first. Yes, that's it. Thousands of people who have peacefully and generously shared, taught, and sold this brew for all these years are just jealous. Because that's how we roll, right? Well let me tell you a little about herb folks - just in case you might actually believe that bilge. Nearly everyone I know in herbs gives back more than they take. Always. Let's not even bother talking about all the work they do to rebuild habitat for plants and wildlife all around them. Nor the urban FREE gardens they build for inner city people. Instead, I'd like to say that any time you see a natural disaster or a country that needs help, you can be sure that herbalists have worked to get help into the area. 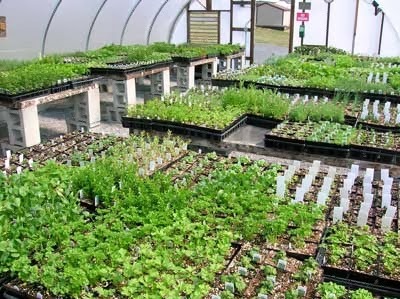 A good example is Samara Botane, whose website states, "We also directly support a variety of nonprofit organizations that go into the field and provide valuable services such as midwifery education and aromatherapy help for our troops and emergency disaster workers across the globe." I've personally been involved in several group efforts, beginning with Hurricane Katrina, and most recently with Hurricane Sandy. 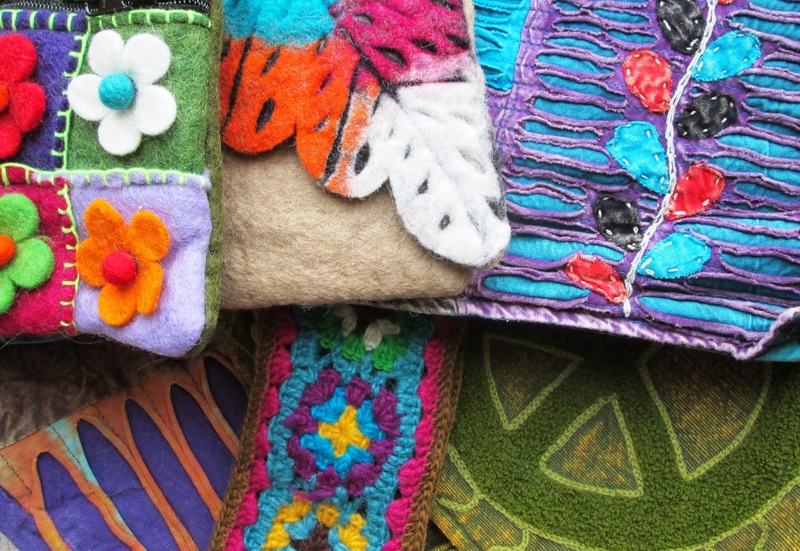 Soapmakers are to me a sort of subset of herbalists, and members of a forum I've frequented challenge each other to make donations to Kiva Loans, an organization that helps people start their own micro businesses all over the world. They continually reinvest the money they loan as they are paid back. As a group, I imagine these soapers have loaned 100's of 1000's of dollars to help make life better for others. Who are they? The others?. 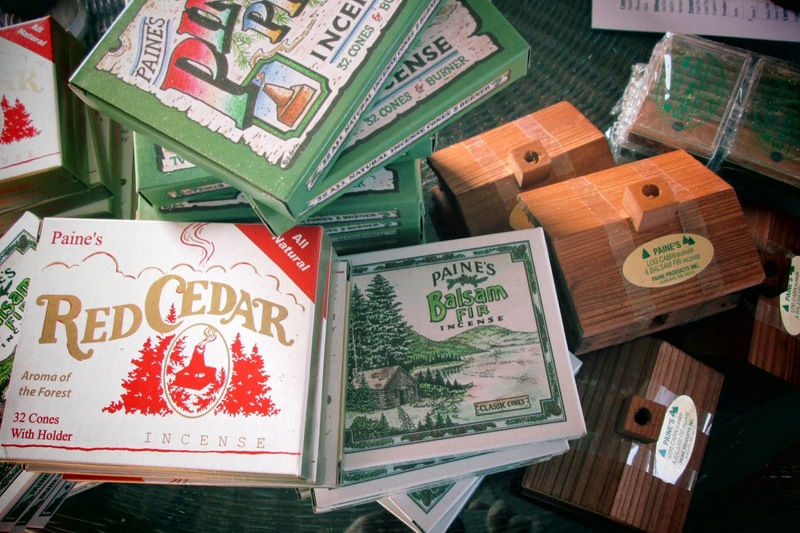 In something like 1993 or 1994, The Natural Product Expo arrived on the East Coast for the first time. Somehow, my sister and I found it and attended that first year, thrilled to have found exactly the wholesale show we needed for the herb shops we had at the time. Almost every booth was staffed by the people making the products. Blue jeans, long hair, and happy people selling their wares, proud of the things they'd made. THE VERY NEXT YEAR we attended again, and were mortified to see that "the suits" had arrived. Gone were the tidy little booths. There was glass and steel, booth bunnies, and track lighting. Every thing gleamed. A couple aisles in, we were stopped by a big sweaty dude (I can only assume he'd been guzzling the all natural energy drinks) in a suit who wanted to tell us about the pills he had that cured genital herpes. "Cure?" I said, "Reeeeally. What's in it?" He had to stop and look at the label on the box, and I suppose due to an inability to pronounce the ingredients, he said, "Oh, it's all natural. A bunch of herbs!" I asked if I might take a look. There was a list of vitamins, some other stuff, and NO herbs at all. When I told him there were no herbs, he said, "herbs... vitamins... whatever." And THAT, my friends, is what happens when people who haven't the heart or the soul to understand herbs or the herbal community decide they can make big bucks from them. It is a total lack of respect for the incredible abilities of herbs, a lack of respect for herbalists, and a complete and utter disregard for the customer. They see dollar signs. They think that if we don't play it that way, it's because we have no business savvy. They themselves don't think the product has any real value, but that the packaging and marketing and the "snake oil biz" is what it's all about. They get all bent out of shape when the government won't let them make medical claims, because they are alllllll about the medical claims. They bring scrutiny to the industry because they want alllll those dollars. So back to the firey cider brew. Is it any wonder that we want to protect our tradition, community, and old remedies from that? This kind of disregard is more than insulting. For weeks, people have been trying to explain these concepts to the people who appropriated the name of this formula, forcing others who have been using it for decades to remove it from their on-line shops, but it has fallen on deaf ears. Instead, they mock the herbalists, making fun of the qualities and sensibilities that make us who we are. It's no wonder, really. It's two different worlds, two different languages. Unfortunately, I'd hoped that they would be able to hear, but they have chosen to force a legal battle. Please sign the petition to help make that happen. The Petition and watch the video in which Rosemary Gladstar teaches it (again) and gives the recipe! We're working on getting a few of our small books ready for reprints. When I say "we", it really means Maryanne, who thankfully does all the lay-out work these days. I am terrible at that. It used to bring me to tears before she offered to do it. 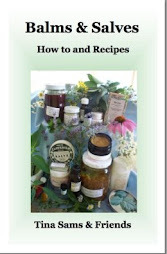 Right now she's working on Making and Using Herb Vinegars. It will soon have a color cover and have a better (!!!) layout. There are only about 50 copies of the old one left, so we're thinking ahead. Working on this really took me back. In discussion, we talked about how adding a recipe or two would require adding pages. In printing, you can't just add one page. It must be in multiples of 4. It took me back, that discussion. 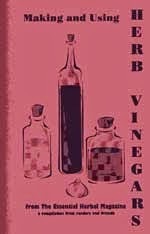 The vinegar book was one of the first. Probably 11 or 12 years old now. The maroon cover was chosen not because it is a cool color that stands out. No. It was chosen because it was leftover from another job at the printing company where I worked, and I rescued it from the trash. The table of contents was assigned to the inside front and back cover - not because it was cool and unique - but because adding pages to that first printing would have added $10 or $15 dollars to the overall cost of printing, and I seriously didn't have it to invest. I will be sure to hold on to a couple copies of the first edition before they are gone. 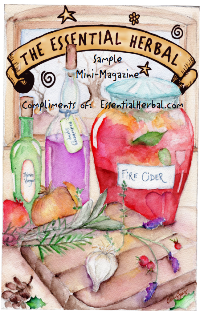 There are so many of us working with herbs, getting the word out, struggling with that torn or broken shoe-string. So if you find yourself at an herb festival or gathering sometime and see a great product with less than spectacular packaging, give it a second look. Not always, but sometimes there is someone with a good product struggling to find a way to share it with the community. 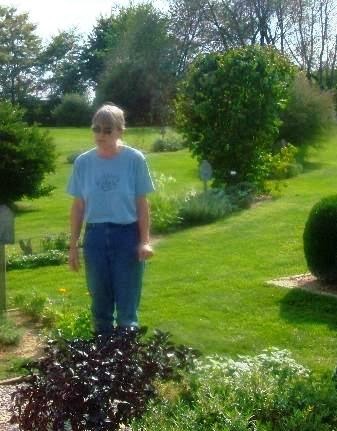 Kathy giving a tour of her display gardens. All the little baby plants, growing strong. Me, getting a late winter, early spring dose of green. Our neck of the woods has been a little hectic despite the ice and snow. So I’ll be writing the latest blog post. My name is Molly and I have been working for my mother for the past few weeks. Lately things have been a busier than usual. After returning home from a wholesale show, my mother and aunt had more soap orders than soap, I started learning the ropes, and mom had a book to well, write. But we’ve managed to keep everything going. Mom was able to find some pretty neat stuff at the show. Bags, incense, head bands, among other things showed up at our door a few days ago. And we were able to start up a Pinterest and an Instagram. That way whenever we have something new to show off, like our fire cider. We can post it and find out what you guys think! As the snow continues to fall, we’ve sent the Mar/Apr issue off to the printer and it will be hitting the mail in about a week, and Mom's crankin' away on the book that will be sent off to the publisher in about a month (first half due Monday!). We're so ready for spring to get here, but in the meantime we'll be curling up with some tea and hope you will be doing the same.